Unfortunately Prof. Sjoerd Romme had to cancel his keynote address at our conference due to illness. Fortunately we have found an excellent replacement in Prof. Dr. Marijk van der Wende. 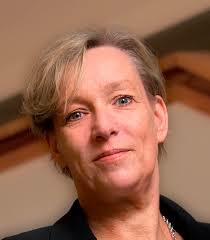 Marijk van der Wende is the Dean of Graduate Studies at Utrecht University. In that capacity she is responsible for supporting the developme nt of graduate programs and for the further organisation and enhancement of the seven graduate schools in Utrecht University. She is also a professor of Higher Education in the Utrecht University School of Governance. Her research focuses on Higher Education Systems within the context of the UU strategic research theme on Institutions. In her keynote she will reflect on the role of the university in a more entrepreneurial society.